2018 SAW THE REBRANDING OF ENTERPRISE TAX CONSULTANTS TO ETC TAX! 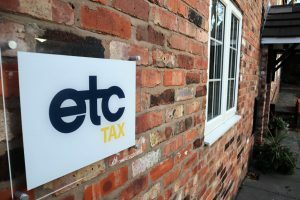 The wide variety of work being completed by ETC’s tax advisers has also led to a significant development for the firm, its recent change of name and rebrand. Founder and Technical Director, Andy Wood, commented that, the type of work undertaken by the firm, (which was previously known as Enterprise Tax Consultants), had changed a lot since the business was founded in 2013. “The huge demand for high quality affordable tax advice means that we have found ourselves offering a much wider range of tax services than we had previously anticipated. Whilst we are 100% confident in our ability to deliver the range of tax services that our clients demand, we felt that our name no longer reflected who we were as a business, and the sheer volume and type of variety of tax work we now undertake, especially now we have a much larger team in place”. Andy explained that he felt that the new name, together with a new look and feel for the business and a new website, more accurately reflected the type of business that ETC Tax is and aspires to be, describing the business as “a modern, diverse and enterprising practice, which seeks to stand out from the crowd”. “We obviously want to build on the success we have had so far, and we see the new brand for our business as being crucial to that continued success”.